Antix were one of the bigger hard rock bands originating from the Ottawa, Ontario, Canada region back in the late ’80s. The group released the EP Baptism Of Fire (1986), the single “Here’s Looking At You” (1987) and the full-length album Our World And Welcome To It (1988) before disbanding. 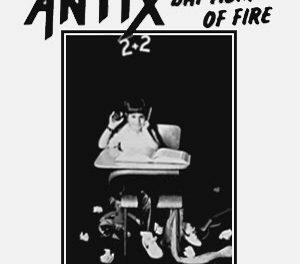 Whether it was toy donation drives at Barrymore’s or helping to raise money for food banks, Antix were the charity ambassadors of Ottawa’s hard rock / metal community. On July 31, 1988, Antix performed a live outdoor show on the Rideau Street Mall, for the third annual Soup Kitchen Live, a multi-band event organized by the Kiwanis Club. Antix was the heaviest band on the schedule, alongside groups like Shake the Ghost, Back to Front and Sneezy Waters.